You can enhance your tan, before and after your holiday or even all year round here at Guys N Dolls. We stock a wide range of Sunbed creams and can offer accelerators, bronzing and tingle sachets and bottles. These are available to purchase from Reception as well as your tokens. 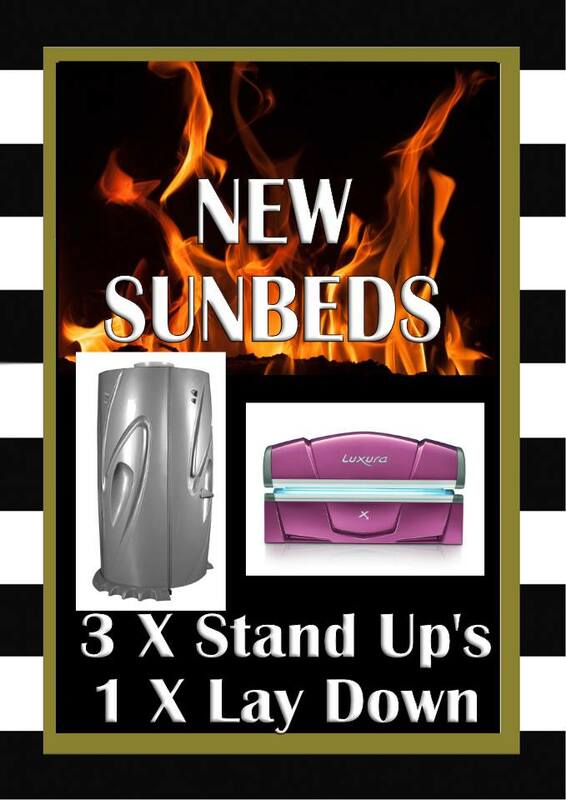 We offer 1 lay-down and 3 Brand new stand up sunbeds. There is no need to book, so turn up at anytime. We offer late night Wednesday 9am – 7pm, Thursday 9am – 8pm and Friday 9am – 7pm and we guarantee our customers the optimum tanning experience. Sunbeds can only be used by over 18s and ID will be required when signing up for our courses. Sunbed courses can be used over any period during 12 months from date of purchase, minutes cannot be shared and are for exclusive use of the individual that signed up.